A frustrating – and winless – year looked as if it would continue at MK Dons until a late equaliser was followed by a dramatic added time winner to seal a first Pompey victory of 2018. Luke McGee, back in goal following the injury to Stephen Henderson, made a fine save to keep out Keiran Agard. However, it dropped to Ike Ugbo, allowing the on-loan Chelsea man to give MK Dons the lead. 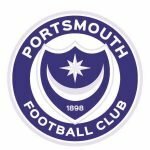 With another defeat on, Pompey drew level when Matt Clarke marked his 100th appearance with a goal, heading Dion Donohue’s corner past MK Dons goalkeeper Lee Nicholls. A point wasn’t what we went to Milton Keynes for, but it would have been taken without a doubt having been behind for so long. One became three when Conor Chaplin bagged the winner, ending five games without one. There wasn’t any doubt for Kenny Jackett that late chance fell to the right man, the boss was also pleased to see this dramatic late action work in our favour. ‘It fell to the right person, he is obviously a goalscorer and a poacher and I’m delighted for him as one of a number of young players we are basing it around. It has been a frustrating January for us, we’ve had a tough run and similarly that has happened to us where late goals have taken the points away, with no time to come back,’ Jackett was quoted by the News post-match. A ‘crucial win’ left the boss pleased, as it definitely would have the 6,000+ travelling fans too, as the Blues took advantage of some nervousness that crept into the MK Dons’ game as it wore on.